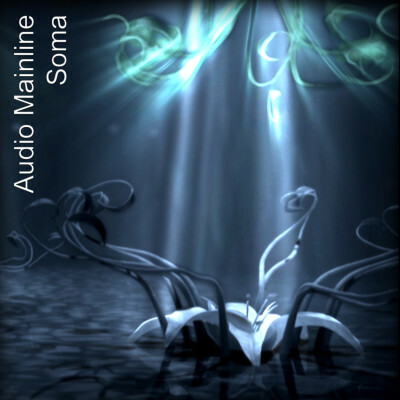 Audio Mainline – Soma – A deliciously prescribed sensory capsule. Stunning new Audio Mainline creations will be available this March. The distinctive sound of Audio Mainline combines lush cinematic ambience, bass-driven grooves, warped guitars, and soothing female vocals. A deliciously prescribed sensory capsule, fittingly recorded in Asia’s Kingdom of Wonder. Soma promises to be a cinematic trip through ambient and electronic music with live instrumentation and soundscapes. Featuring guest vocalists Trubble, Ghostdust and Jenna Holliday. You’ll be mesmerized by the beautiful trailer, soon you’ll be able to treat yourself to 4 stunning tracks and the full length animation. Stay tuned for more delights – Join our mailing list to keep up to date with upcoming releases.